Totally. Target. My. Favorite. Site. Ever. Too cute. Thanks for the chance to win. This is a super cool gift card. Hope I win! I love target and love your website! Thanks for all you do to save us money!! Great gift cards- would love to win one! Thanks! Thnaks for a great giveaway and all your hard work! I love this gift card ! Thanks for all you help! Thanks for all you do! Did I win? Thanks so much, would love to win! I like you on Facebook – aka Bella S.
Awesome, thanks for the chance to win! We are trying to save money to take a trip to disney and this would be so helpful. Thanks. 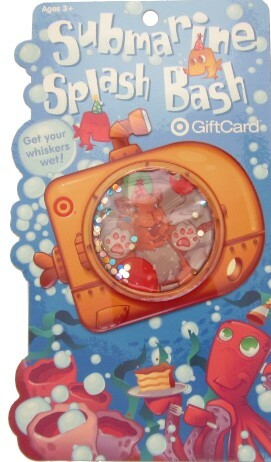 This is by far the cutest gift card I have ever seen. Thanks for the opportunity to win. I already loved target to start with but with the coupon deals you put up I can’t get enough of target…lol..
gosh this sure would come in handy right now! What a fun gift card!! Thanks for the giveaway! I LIKE TotallyTarget on Facebook!